The Best Spring Break Destinations in the U.S. Whether it’s a “break” from work or school, time away from the daily grind is always a good idea. Spring break is not only an opportunity for a getaway, it's a reminder that we've made it through the dreary post-holiday winter months. Dates for spring break are typically driven by academic schedules, and this year’s spring break ranges from late February through mid-April depending on where you are. College students may be thinking of heading to the beach or partying with friends, while parents are looking for ways to fill their children’s time off with fun (and maybe get a bit of relaxation for themselves). A warm destination usually, though not always, comes to mind. If you’re thinking about a spring break getaway but wondering if you’ve waited too long, have no fear. 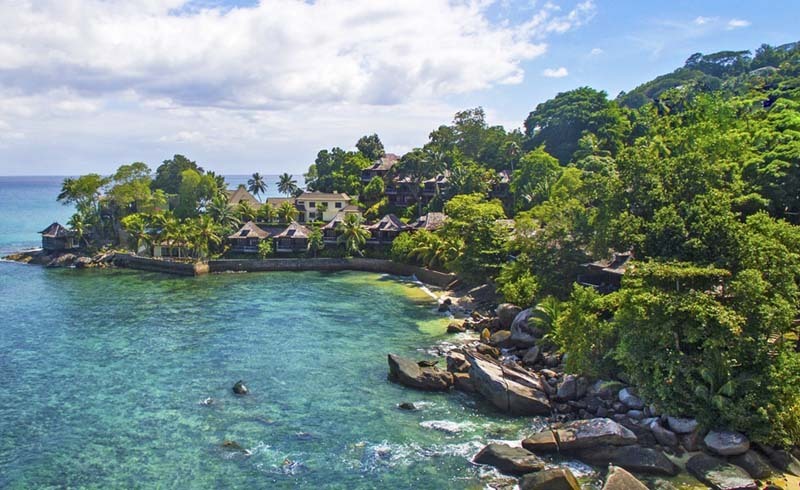 Destinations that will please your family and excite your friends are ready and waiting. And if budget is a consideration, that can be managed, too: Cheap spring break trips are even easier to plan last-minute. Make it a road trip if air fares are high, and search for reasonably priced lodging options. 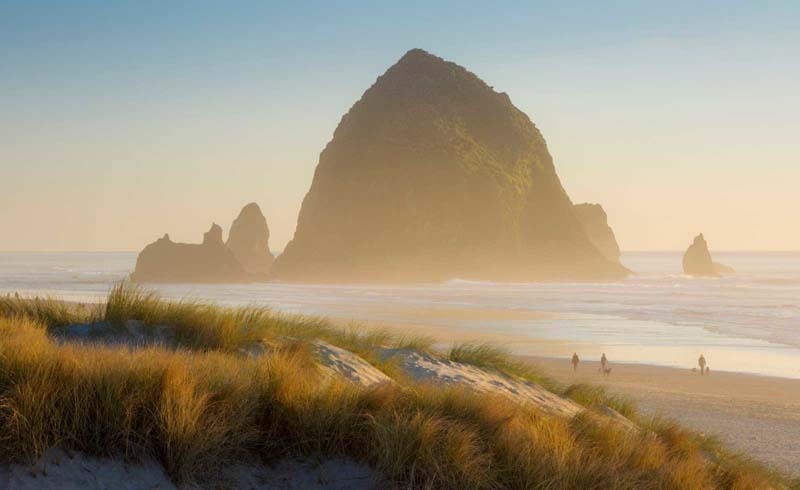 Here are a few U.S. destinations and ideas to help you get started with planning. 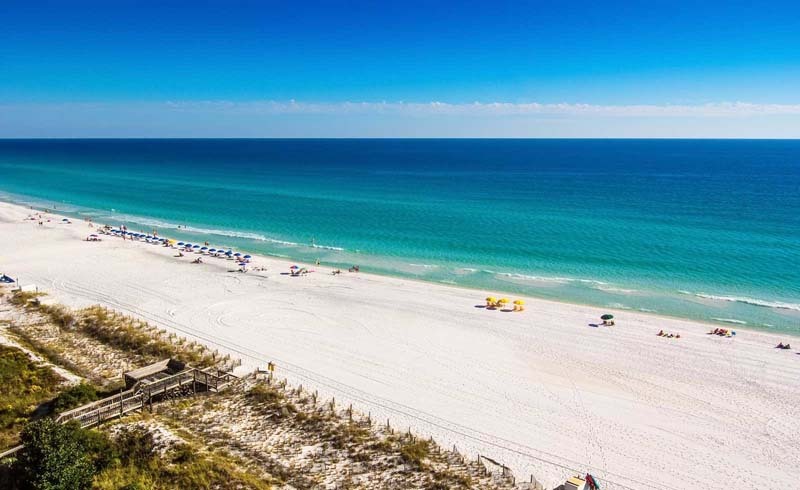 On Florida’s Emerald Coast (along with Fort Walton Beach and Okaloosa Island), Destin offers sandy beaches, warm water, boating, fishing, snorkeling, and plenty of water sports like kayaking, stand-up paddleboarding, parasailing, and more. There’s also a zip line, rock-climbing wall, and boat tours. Big Kahuna’s Water & Adventure Park’s giant wave pool, lazy river, waterfalls, and miniature golf is there for family fun. On Okaloosa Island, Gulfarium Marine Adventure Park offers aquatic animals, dolphin and sea lions shows, and hands-on experiences with starfish, sea urchins, and stingrays. Nightlife in Destin includes piano bars, restaurants, live music, and relaxing evening cruises. From RV campsites to bed and breakfasts, hotels, resorts, and vacation rentals, visitors to the Emerald Coast have lodging options to meet their needs. Early spring weather is in the chilly mid-50s Fahrenheit, but it’s still a fun time to be at the beach exploring tidepools, watching puffins and other sea birds, or just watching the waves. It’s a dog friendly beach, and leashes are not required, so your pet can enjoy playing in the sand or joining you for a hike. Luxurious oceanfront lodging is available, and there’s also a great selection of hotels, vacation home rentals, and campsites. Nearby Ecola State Park offers camping in rustic shelters that sleep four, encircling a large fire ring, with firewood for sale at Hikers’ Camp. In town, there are shops, restaurants, wine tasting, spas, and theaters. The atmosphere is casual, and the scenery makes it a great spot for families, couples, and groups. 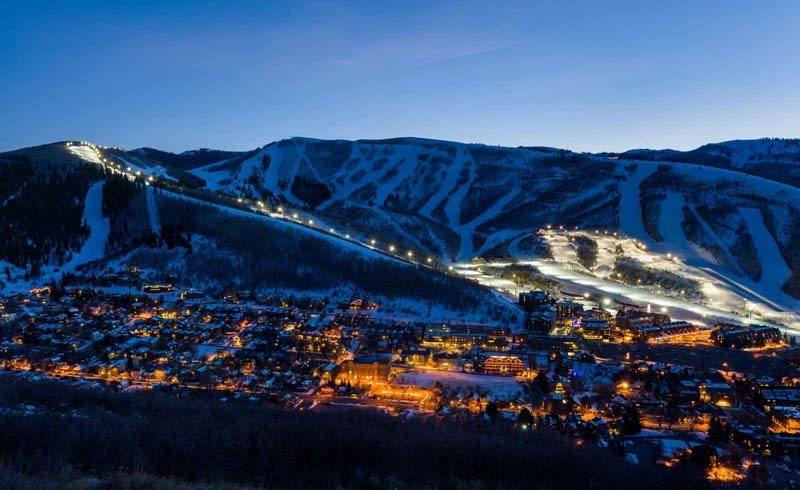 Since not everyone is looking for a beach vacation, we call your attention to Park City with its quaint downtown, restaurants, bars, and historic silver mining town vibe. Late season snow sports should still be happening at Park City Mountain and Deer Valley. 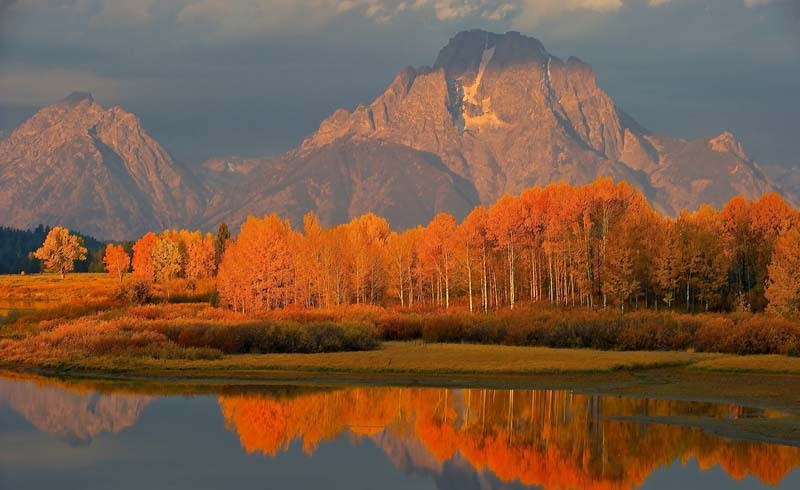 Hiking, mountain biking, and strolling along Main Street are perfect end of season activities, too. Families with kids will be happy to know there’s bowling, indoor ice skating, and Park City Mountain Kids Activities, with a kid-only zip line, rope course, and tubing. Nightlife spots in town include pubs and bars, with lots of lively places to choose from. It’s easy to line up a place to stay, whether you’re looking for a hotel, motel, campsite, rental condo or home, or bed and breakfast. This barrier island resort town off the southern coast of Texas has earned its reputation as Spring Break Central with all-day music, beach parties, concerts, and crowds, especially during the month of March. Warm early spring weather is also part of the attraction, and there’s more to do than just party all day — not that there’s anything wrong with that if you’re there to escape books, term papers, and student stress. Families with kids on school break can also enjoy the weather, water sports, and nature while avoiding the beach crowds. Paddleboards, kayaks, jet skis, and kiteboards are available for rent, and kids can learn about sea turtles or even improve their sandcastle building skills. Lodging in hotels, motels, rental homes, and even campgrounds meet visitors’ budget needs. 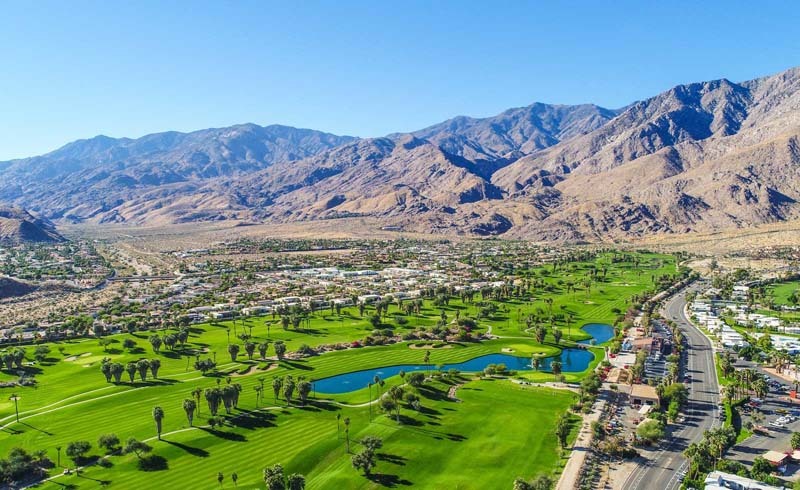 Warm weather arrives early in the southern California desert, making Palm Springs and the nearby desert cities an attractive destination for both families and college spring breakers. For most kids, a hotel or motel with a pool is a favorite attraction, but a visit to the Living Desert Zoo and Gardens or a ride to the top of Mt. San Jacinto in the Palm Springs Aerial Tram would be fun for all. From fast food to upscale dining, from luxury resorts to motels, from movie theaters to art museums, and from hiking to shopping, there are options to satisfy everyone. Downtown Palm Springs is the place for nightlife, with bars, live music, pubs, and walkable streets that invite hopping from place to place to find just the right vibe. Twelve miles of Atlantic Ocean beaches and water sports that include fishing, boating, parasailing, kayaking, jet-skiing, and sailing are a good start to keeping your group happy. On land, there’s biking, golf, horseback riding, and enjoying nature. Families who take their furry friends along will be glad to hear that until Memorial Day weekend, pets are welcome on beaches as long as they’re on a leash. Restaurants, pubs, bars, and cafes ensure that hungry visitors find just what they want. 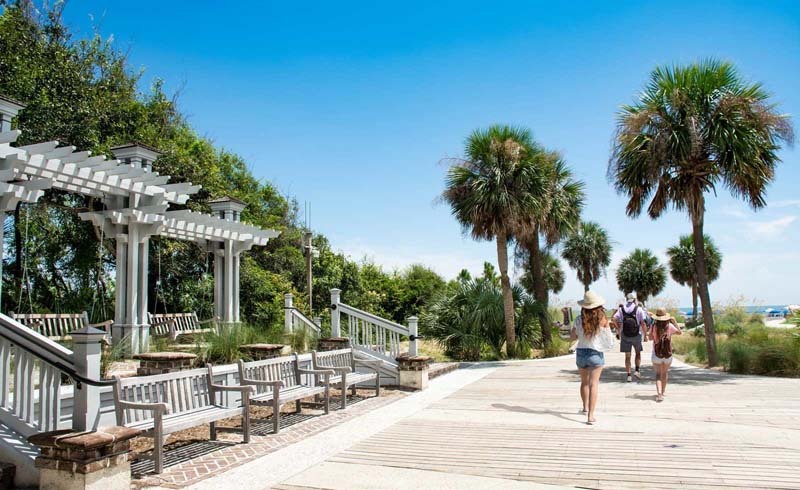 Accommodations range from hotels, inns, motels, and resorts to home rentals, perfect for families or groups of friends, and all are listed on the Hilton Head Visitor site. If there’s time, a side trip to Savannah or Beaufort would be a nice change of scenery. Pleasant spring weather would be enough to attract visitors to this southern city that just hosted the Super Bowl, but there’s so much to do that no one will even notice that there’s not a beach nearby. 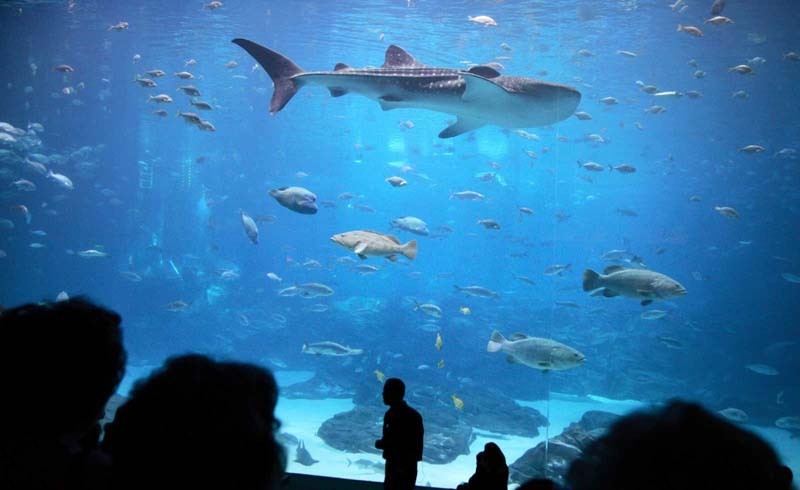 The Georgia Aquarium is the largest in the United States and features sharks, dolphins, sea lions, seabirds, and more. The World of Coca Cola offers unique experiences in the city of the company’s headquarters. The Chick-Fil-A College Football Hall of Fame will delight fans, and there’s Legoland for family fun. Nightlife is an Atlanta specialty with live music venues, sports bars, cocktail lounges, night clubs, and restaurants for every taste. Family evening entertainment might include a visit to Medieval Times Dinner & Tournament. This year, Mardi Gras will be celebrated from March 1 through “Fat Tuesday” on March 5, so if spring break falls during that time, you could be in for a wild time in the Big Easy. It’s always fun, with streets filled with music, crowds, and drink-toting visitors enjoying the lively atmosphere. Families on spring break should keep New Orleans in their destination plans too. 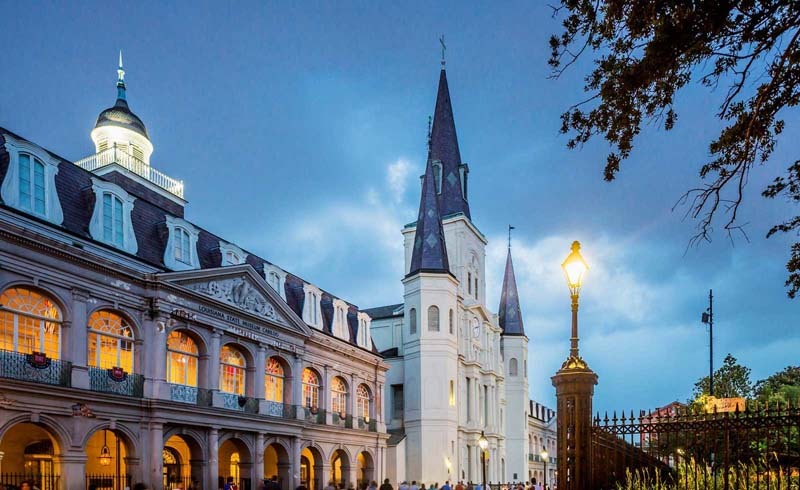 The historic city—celebrated its Tricentennial last year—boasts an aquarium, zoo, Audubon Butterfly Garden & Insectarium, and several museums including Mardi Gras World, the next best thing to being there. The National World War II Museum, Old U.S. Mint, Louisiana Children’s Museum, and others will both entertain and educate. Find a place to stay in the middle of the action or on the sidelines with help from this guide. 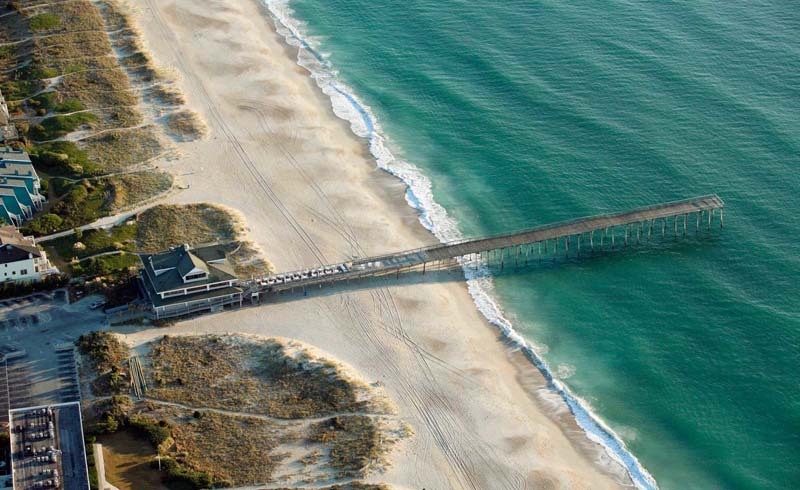 Voted one of America’s best beach towns, Wrightsville Beach offers water sports, restaurants, nightlife, shopping, and local history. 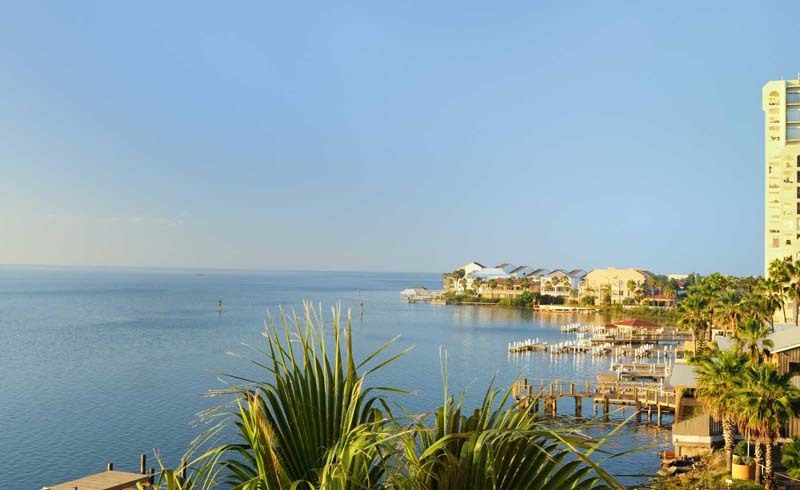 Stay oceanfront or near the harbor in the ideal place for your family or group of friends. Surfing, kayaking, stand up paddle boarding are popular, and scuba divers seek out the area’s sunken ships, reefs, and sea life habitats. Even if it’s not swimming weather just yet, you can still enjoy being near the water on a cruise or fishing boat. There’s no shortage of nightlife in the conveniently walkable downtown, with live music venues, bars, breweries, and of course, restaurants serving fresh seafood and casual meals. Visitors can learn more about the area and imagine what it was like in the past in local museums. 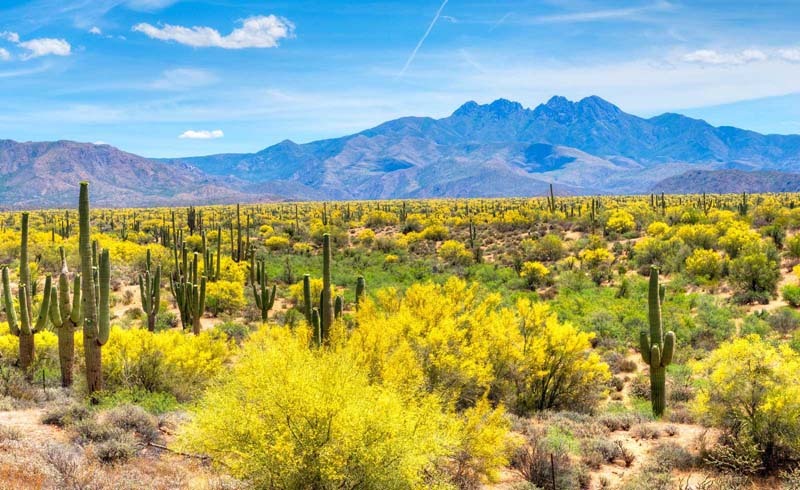 The desert will see temperatures in the high 70’s and even low 80’s during spring break time making it perfect to be outdoors in “The Valley of the Sun,” well-deserved nickname for the Greater Phoenix area that also includes Scottsdale, Mesa, Tempe, and Chandler. Baseball fans can catch Cactus League spring training games between February 21 and March 26 in any of ten ballparks conveniently located in the area. Lounge in the sun by a pool, tackle one of many stunning hiking trails, go fishing or boating in one of the area’s lakes, take a kayak or stand up paddle board on the Salt River, or a jeep tour through rugged terrain. In addition to lots to do during the day, nightlife in town includes restaurants, bars, pubs, night clubs, and live music venues. Stay anywhere from five-star resorts to motels, campgrounds, dude ranches, or RV parks — a place for every group and budget. U.S. Daily News: The Best Spring Break Destinations in the U.S.